An old man is lying in the hall of a train station in Seoul. His whole body is covered in wounds. Nobody pays attention to him – he looks just like another homeless man sleeping on the station. At the same time, a young girl, Hyu-sun, ends a toxic relationship with her boyfriend. She run away from home years before, and now her father finally finds a clue as to her whereabouts – a small apartment near the station. A zombie apocalypse breaks out, with the epicenter at the Seoul station. Form there, the virus can easily spread throughout Korea. "Seoul Station" is prequel to box office hit "Train to Busan". 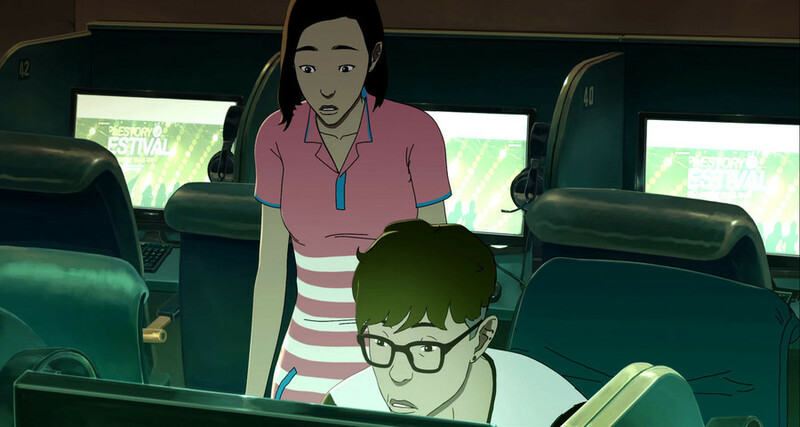 In his animations and later live-action films, Yeon Sang-ho pays a lot of attention to the brutal social background, and the protagonists' ignorance and egoism. The zombie epidemics seems to be the materialization of the evil slowly pilling up within the people of Seoul. The director sticks to the visual form of his previous animations. Every painted frame testifies to the auteur style of his projects. In the script, from the very beginning he builds up tension based on the protagonists' ignorance and the audiences familiarity with the plot. He skillfully draws the characters, slowly pushing the action forward. In the end, the apocalypse always comes without a warning. Born in 1978 in Seoul, screenwriter and director of features and animations. Graduate of the painting department of Sangmyoung University, founder of the DadaShow studio. His full-length animated debut, "The King of Pigs" was screened at the Directors' Fortnight section at Cannes IFF. The first live-action film he directed, "Train to Busan," was a major box office hit and was distributed in over 30 countries.